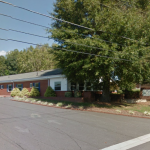 HFC congratulates Affinity Living Group on the purchase of Davie Place Residential Care, located in Mocksville, North Carolina. Davie place is a 69 licensed bed facility with 50 assisted living beds and 19 memory care beds. HFC arranged the financing for the acquisition, negotiated loan terms, and assisted with the closing process.